• Large 12 digit angled display. • Durable metal fascia and hard keys. • Solar powered and battery backup. • Decimal point selector and rounding. This professional and hard working calculator from Aurora has a wide, 12-digit display for high visibility and hard keys for prolonged every day use. 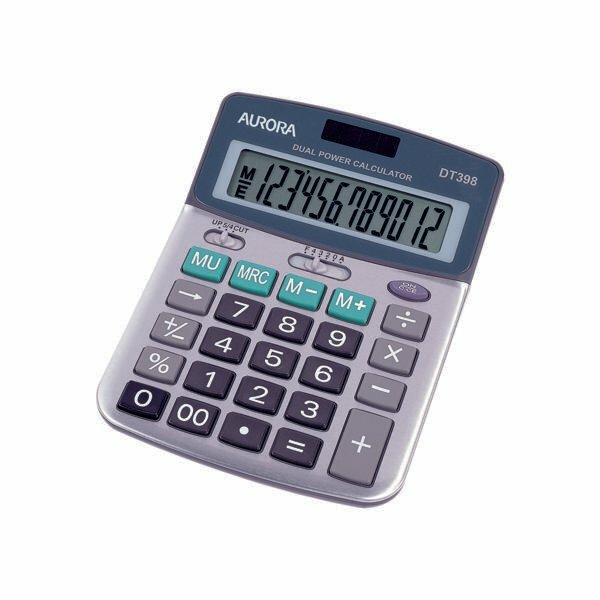 It boasts a range of features that make calculations fast and efficient, from a decimal point selector to a round up key. The device is dual powered and features a solar panel to ensure optimum performance and reliability at all times and enables it to power off during periods of inactivity.